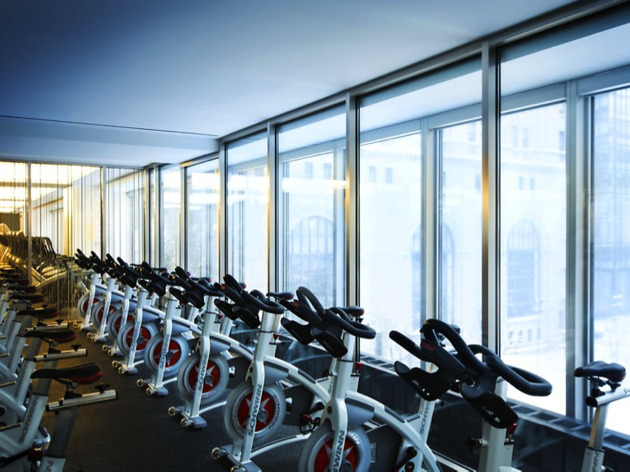 With six different studios, an eight-lane indoor pool, three full levels of equipment and a restaurant, Equinox is whatever kind of gym you’re looking for. Want a large and in charge gym experience? With six different studios, an eight-lane indoor pool, basketball courts and three full levels of equipment, Equinox is your best bet. 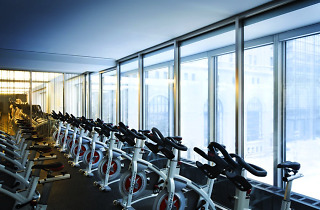 Equinox caters to every workout need from personal training to weights to yoga, and excels at the little details that make a gym memorable—friendly staff who welcome you by name, complimentary cold towels soaked in invigorating eucalyptus and personal televisions and charging stations at every cardio machine. The locker rooms are clean, spacious and filled with anything you may have forgotten, from shampoo and shave gel to tampons and deodorant. There’s also a restaurant and cafe, clothing shop and even a hair salon. The SF flagship is on Market Street right next to the Four Seasons hotel, so it’s great fitness spot for those who work downtown. It’s open seven days a week, 365 days a year and memberships start at $175 per month. Fun fact: When the Cavaliers came to town for the NBA finals, LeBron and his teammates worked out at Equinox. Swoon.